A UK company has been linked to the laundering of 650,000 stolen bitcoins worth £4.5bn, a BBC Radio 4 investigation has found. The coins were taken by hackers from Tokyo-based Bitcoin exchange Mt Gox, leaving tens of thousands of customers out of pocket. It’s not clear who is in control of the London-based firm Always Efficient LLP. Mt Gox operator Mark Karpeles apologised to investors and said he was co-operating with the investigation. The FBI has charged a Russian national with laundering the stolen bitcoins. Mt Gox matched up those who wanted to buy the crypto-currency with dollars, pounds and other international denominations with those wanting to sell bitcoins, and handled an estimated 70% of the world’s Bitcoin trade. The exchange was originally set up to trade cards from a game set in a world of wizards, spells and monsters. When it turned its focus to crypto-currencies, it appeared to be a huge success story. Almost half of Bitcoin trading is done in Japanese yen, and there’s even a Japanese girl group, the Virtual Currency Girls, which reflects Japan’s growing craze for virtual money. But a group of amateur investigators, WizSec, found that hackers had targeted Mt Gox. They had systematically pilfered users’ accounts, hiding their tracks from Mt Gox operators for years. And in 2014, the site’s chief executive, Mark Karpeles, made the horrifying discovery that hundreds of thousands of coins were missing. When customers found themselves unable to withdraw funds, the site collapsed. He said the site had rapidly grown beyond his expectations. How the coins had gone missing was initially a mystery. But now investigators say almost half the stolen coins from Mt Gox ended up at rival exchange BTC-e. The FBI says BTC-e was a hub for cyber-crime and helped to launder money from hacks, including ransomware attacks of the kind that hit the NHS and other organisations last year. But trying to find out who operates BTC-e isn’t easy. The exchange claimed to be operated by a British company called Always Efficient LLP. Always Efficient’s registered office is in east London, but the address is shared by several other firms, some of which are thought to be involved in money laundering. Duncan Hames, of anti-corruption group Transparency International, said it’s likely to be a shell company. “People laundering money will set up a network of companies to create layers between the original crime and their attempts to then integrate the proceeds of their crime into the economy,” he said. In an attempt to regulate these so-called shell companies, new rules introduced in June 2016 now stipulate that companies must publish a list of “persons with significant control” (PWSC). Always Efficient doesn’t currently have a PWSC. The person most recently listed, Alexander Buyanov, is a DJ in a Moscow nightclub. According to Andrei Zakharov, a Russian journalist who tracked him down, Mr Buyanov claims he “knew nothing” of the business. Companies House told the BBC it had a dedicated team dealing with PWSCs, and took action when irregularities were identified. The FBI says the man behind BTC-e is another Russian national, Alexander Vinnik. 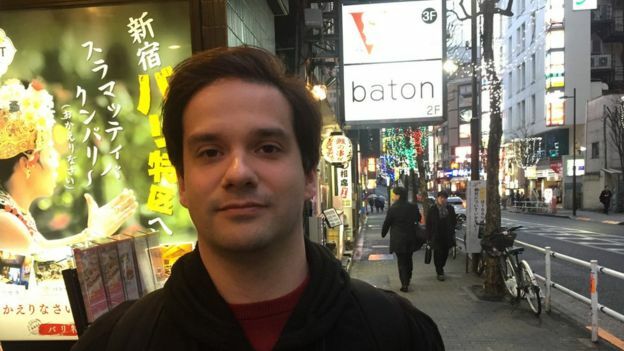 Documents seen by the BBC detail how the stolen Mt Gox money was laundered through various accounts, usernames and email addresses allegedly controlled by Mr Vinnik. Mr Vinnik was arrested while on holiday in Greece in July 2017, and is currently being detained in Thessaloniki. The US Department of Justice now wants to extradite him to face 21 counts of money laundering and other financial crimes in the US. Russia has also filed an extradition request for Mr Vinnik on lesser, unrelated charges. The Greek government is now in the process of deciding between the two requests. Via his lawyer, Mr Vinnick told the BBC he denies having any connection to Always Efficient. Mark Karpeles was arrested and charged with embezzlement related to payments worth £1.7m. He says these were legitimate loans signed off by an accountant. He’s also charged with manipulation of data. He denies all the charges – none of which relates to the loss of the 650,000 bitcoins. Mt Gox is not the only Bitcoin currency exchange to be hacked. 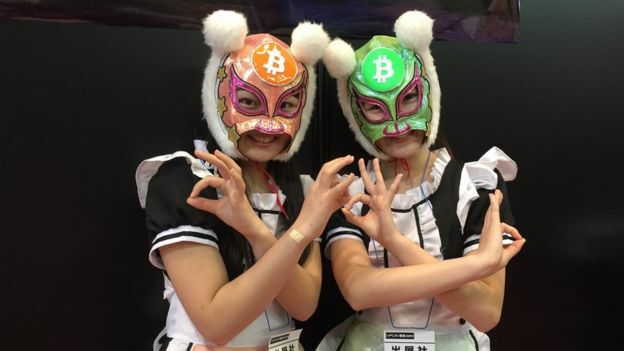 Even the Virtual Currency Girls have lost money following another recent Bitcoin exchange theft. 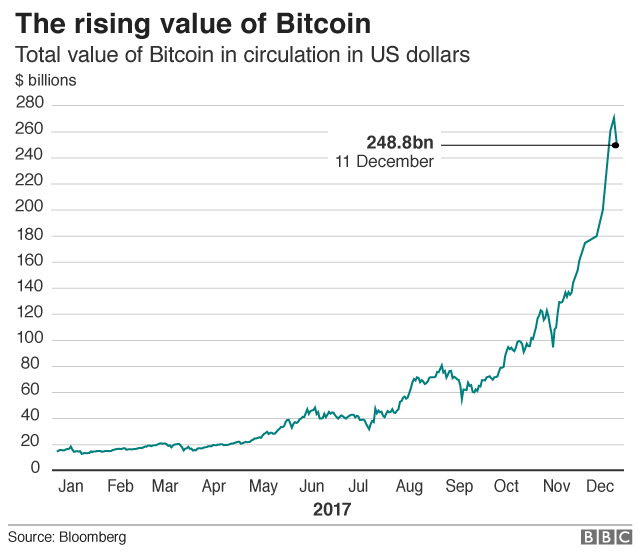 Under Japanese bankruptcy law, the remaining 200,000 Mt Gox bitcoins are valued at £300 each, the price they held when the exchange collapsed in 2014. Since then, the value has increased to around £7,000 each. Many investors are now pushing to see their Mt Gox bitcoins refunded at the current price, and a decision is expected within the next few months. So regardless of the outcome in Mr Vinnik’s case, Mt Gox creditors who lost out might still turn a profit, thanks to Bitcoin’s unprecedented rise.